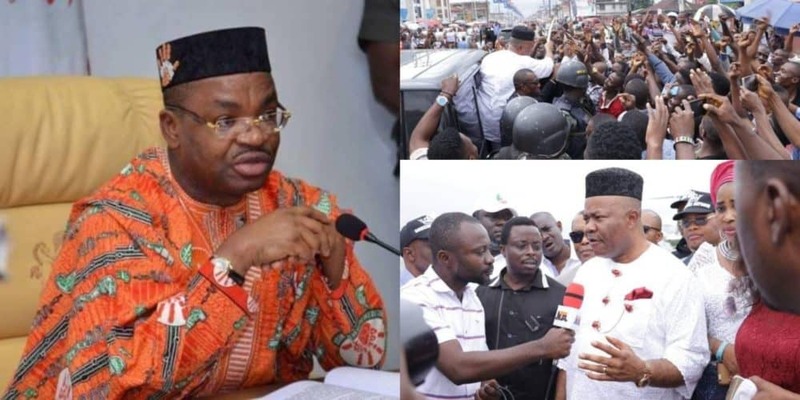 Governor Udom Emmanuel of Akwa Ibom has sacked two of his commissioners who were seen among a jubilant crowd who thronged the Uyo Airport to welcome former Senate minority leader, Senator Godswill Akpabio, at the airport in Uyo. 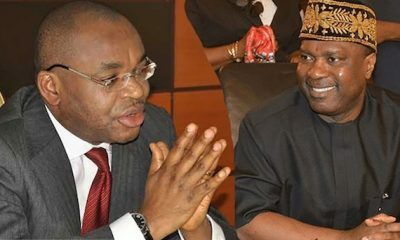 The sacked persons were the commissioner of Culture and Tourism, Victor Antai and Ibanga Akpabio of Labour, Productivity and Manpower Planning. 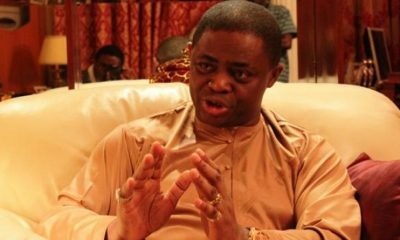 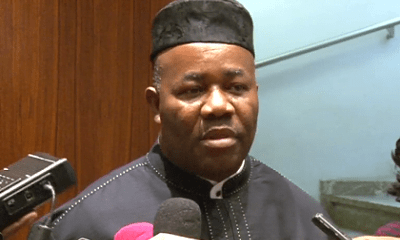 After his visit to APC leaders, including travelling to London to meet with President Muhammadu Buhari who is on a 10-day vacation, the senator landed in the Akwa Ibom International Airport, Uyo, on Tuesday and was received by Antai, Akpabio, and other top politicians. 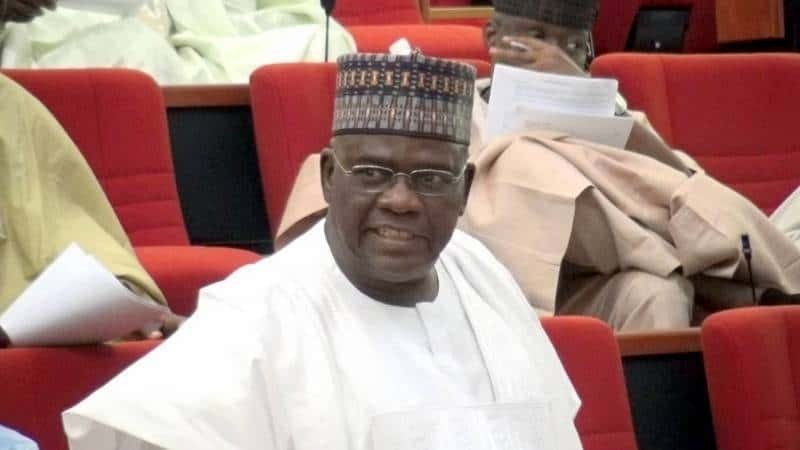 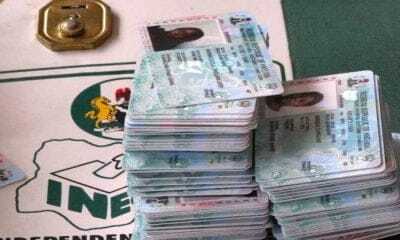 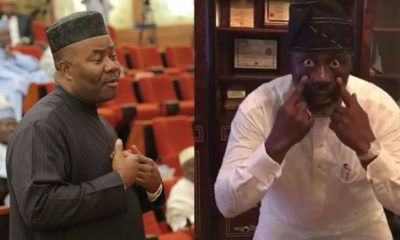 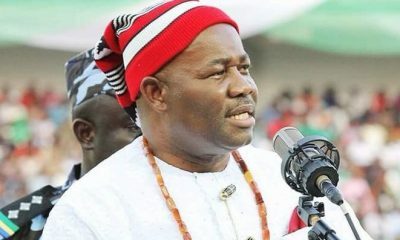 In a statement issued on Tuesday evening by the Secretary to the State Government (SSG), Emmanuel Ekuwem, the government said Antai and Akpabio were sacked from the State Executive Council because of their “reluctance to comply with good governance processes of government”. 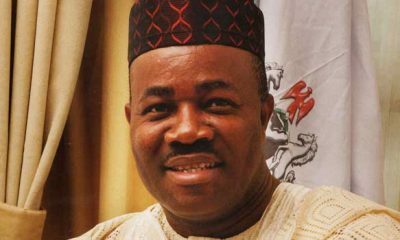 The former Akwa Ibom governor, Akpabio who resigned his position as the Senate minority leader Tuesday, was same day, accorded a heroic reception by a crowd of supporters and admirers that gathered at Akwa Ibom Airport to welcome him to the state.